There’s nothing that beats watching your favorite college football team at the game. You get to experience the crowd cheering, the wonderful energy and enthusiasm of the fans and best of all the wonderful smells from all the people tailgating in the parking lot. For me, those grills in the parking lot have to be my favorite part of the game experience. That’s why when we’re watching the game at home, I try and bring the tailgate experience to the comfort of out home. Tailgating is suppose to be simple and uncomplicated. 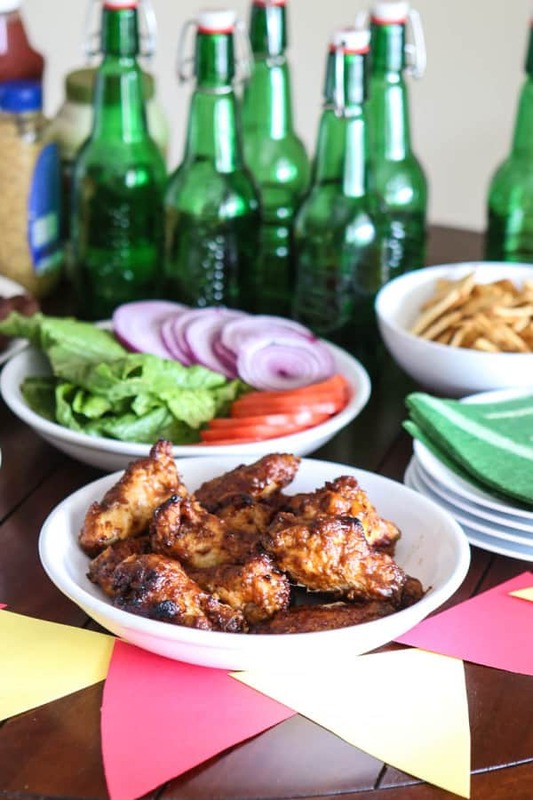 It’s just about enjoying a few beers with friends and some simple things on the grill. That’s why when we tailgate at home, I take as many little shortcuts as I can. I love using these two products on game day. 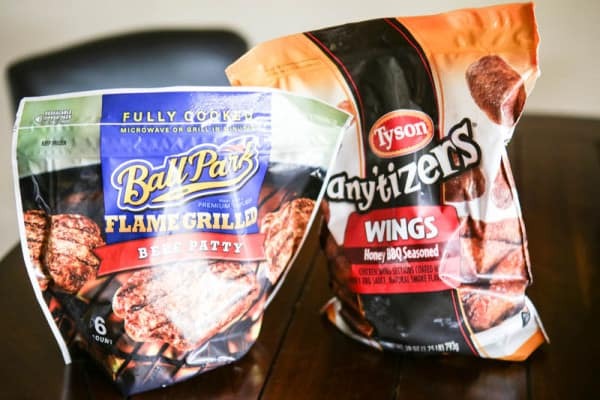 They’re Tyson Any’tizers Wings – Honey BBQ and Ball Park Flame Grilled Beef Patty. You can find both of these products at Walmart. I can heat the wings in the toaster oven and the patties in a skillet and they can be done in a matter of minutes. To go along with my wings and burgers, I make a quick platter of celery and carrots with some ranch or blue cheese dressing. And for the burgers, a platter of lettuce, tomato and onion. 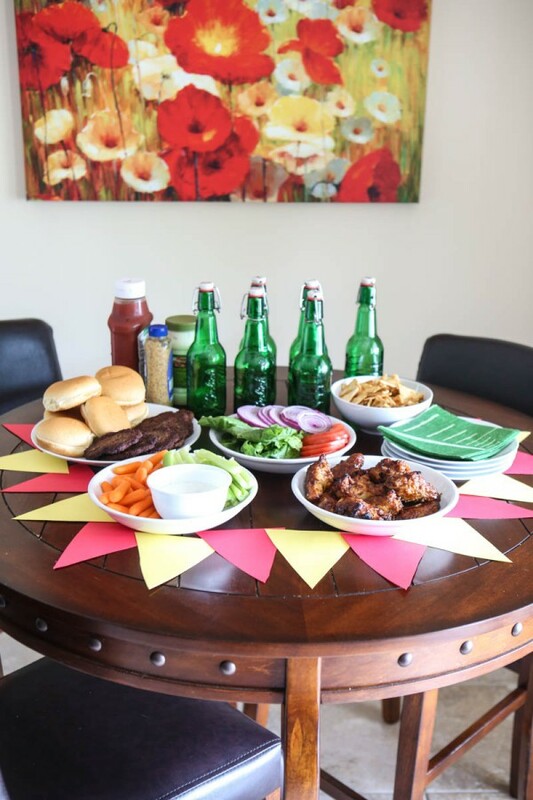 I also put out all the other condiments along with some beer and decorate my table. For these decorations, I just asked my son to cut some triangles out of construction paper, and then we decorated the table with them. He chose his school’s colors, red and gold. You could also string the triangle flags and make a banner, but we were keeping as simple as possible. 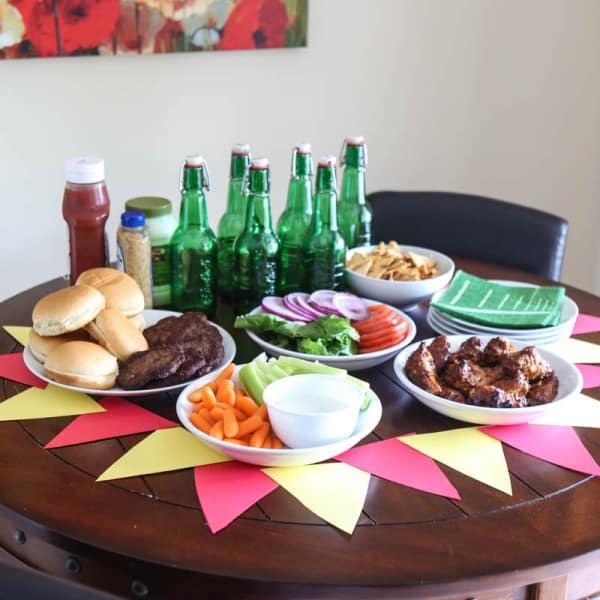 This tailgating spread is served buffet style and took less than 30 minutes to put together, including the decorations! 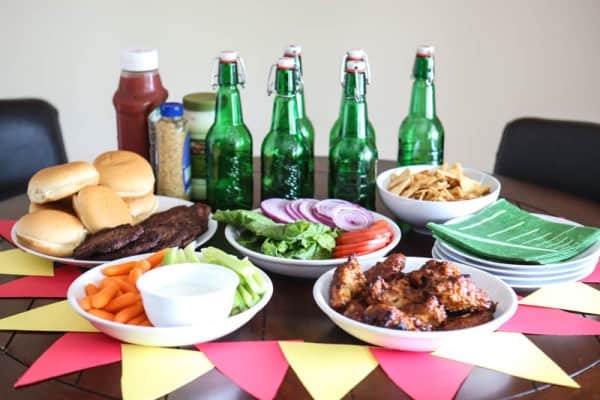 This is a great quick and easy way to have a tailgate party from the comfort of your own home, without spending all day in the kitchen. 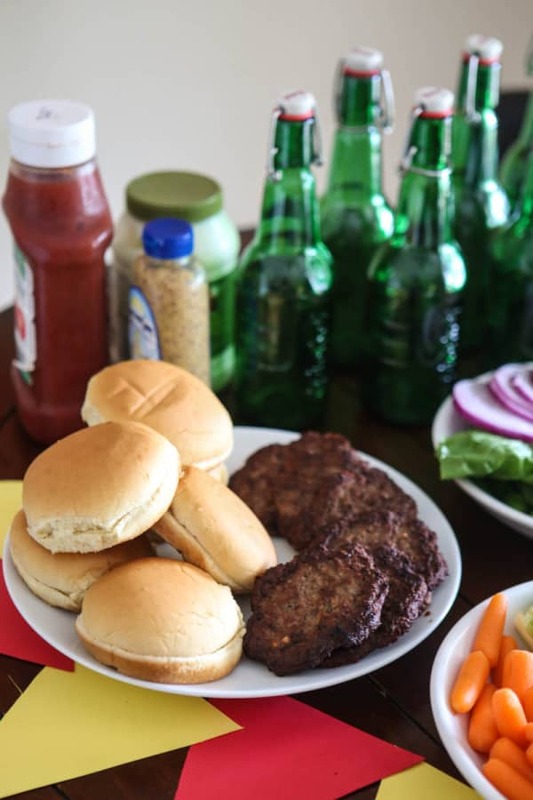 I got a great price on all these foods, including the Tyson Any’tizers Boneless Wyngz – Honey BBQ and Ball Park Flame Grilled Beef Patty at Walmart.